Pam Thorne of Shad Thames near Tower Bridge sent this picture of Tower Bridge taken at about 02:00 GMT. 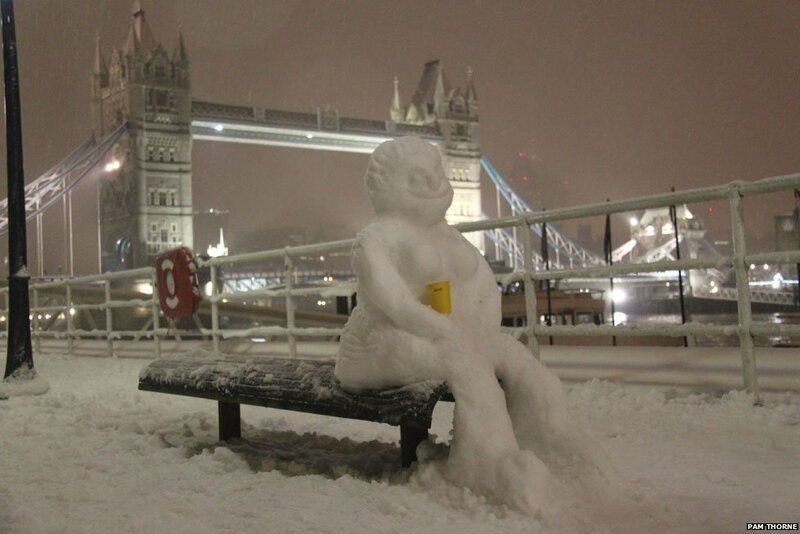 Her cousin and her cousin's husband had their flight to Luxembourg cancelled and so they built a snowlady named Bianca instead. 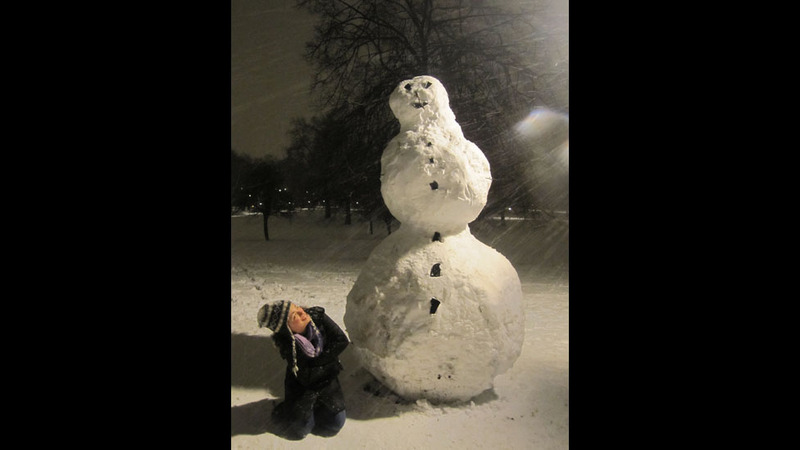 John Paul Cauchi of Bloomsbury captured this snowman at Primrose Hill, north London, at 01:00 GMT. 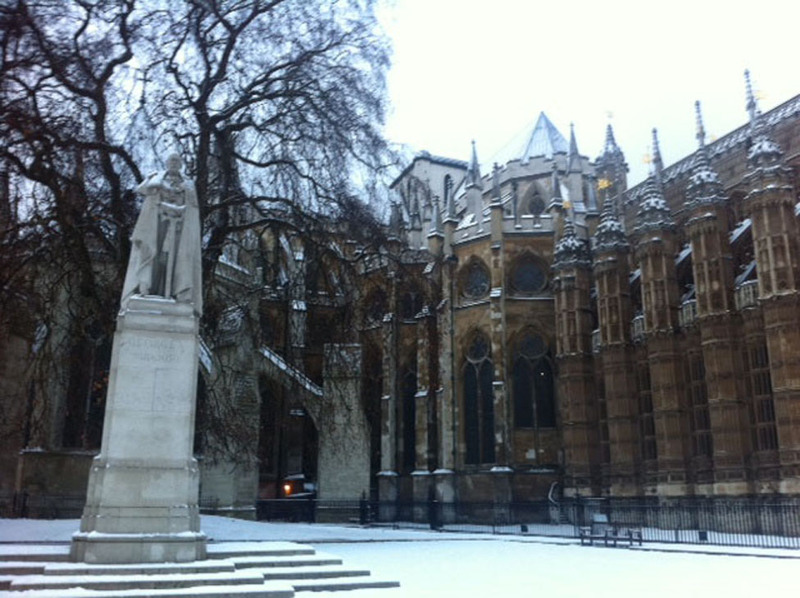 He said he and his friends wanted to build the "biggest snowman ever". 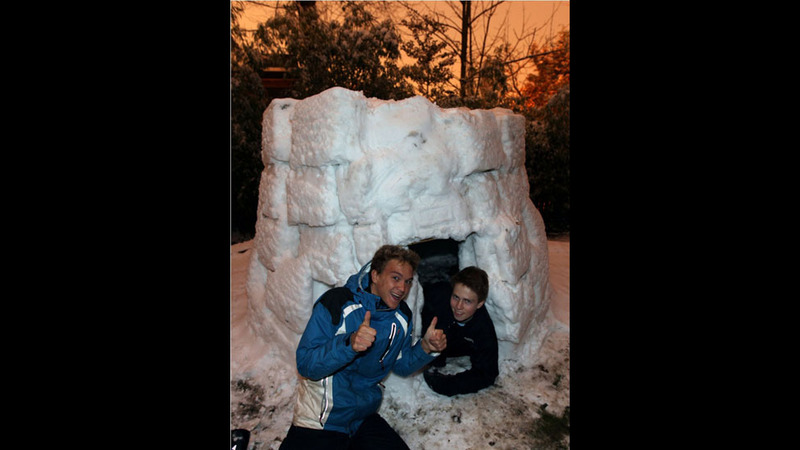 Max Rozhdov from Highgate in north London photographed the igloo he built in his garden with his friend Sebastian. 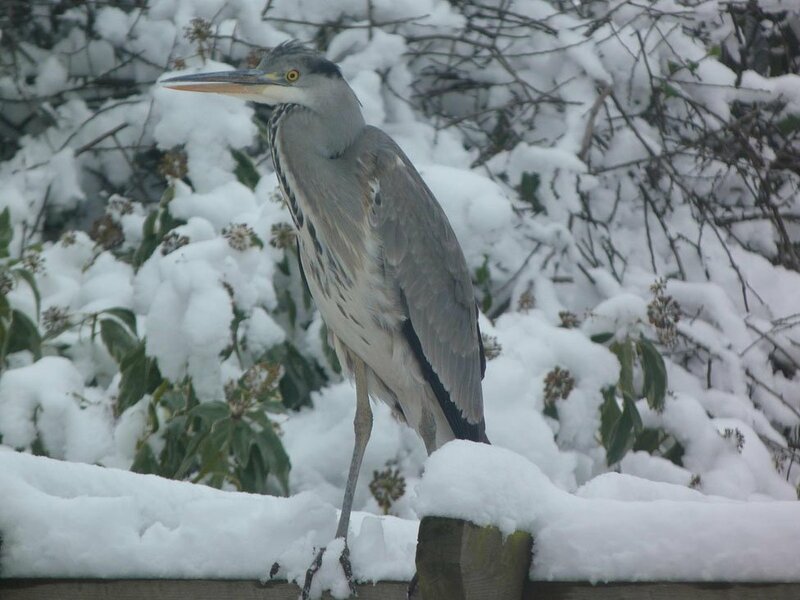 Gary Butler photographed a heron in his garden in Hornchurch, east London.